Few things perk up a room like snazzy, sassy pillows. I use them in the living room, bedroom and even the kitchen. I have so many pillows on my bed that I have to start my sleepytime routine 10 minutes early just to deconstruct the bedding at night, and then spend another ten minutes reconstructing it in the morning. Maybe that’s a bit of an exaggeration but you get what I mean. Decorative pillows are one of the cheapest and most outstanding accents you can put in a room. Cheap, that is, if you make them yourself. You can make custom decorative pillows such as the farm animals above, complete with edging. Or, you can combine your skills and quilt the fabric for your pillow. A simple decorative couch pillow is a perfect beginner sewing project, especially if you make one that closes with ties rather than buttonholes or zippers. Here are instructions for a simple pillow cover. If this is your first pillow-making attempt, first get out a pillow case. Any one will do. Turn it inside out and study the hem on the edge, the seams, the corners and the way the seams are finished. This is your basic template. You will take a width of fabric, sew three seams, and hem the open edge. In addition, you will make two or three ties, depending on the size of your pillow, attach them as closures, stuff your pillow cover and you are done, done, and totally done. 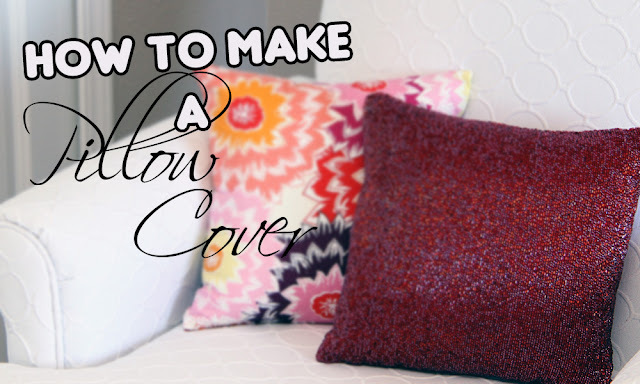 Here’s how to make pillows step by step. First of all, you are making a pillow cover so you must purchase the pillow to insert inside the cover. You can buy cheap pillow inserts at any craft store, but a cheaper option, if you are a money-saver, is to go to a thrift store and buy a pillow for a few dollars. Don’t worry about the condition of the cover because you will ditch that. Or, you can go to a discount store such as Ross or Home Goods and buy an inexpensive pillow. You might get just the uncovered pillow or find a pillow on sale for a few dollars. Which ever you choose, toss the cover if necessary and place your pillow on a piece of tracing paper or brown paper, which is placed on your cutting board. Measure two inches larger than the dimensions of your pillow. This will be your seam allowance and stuffing allowance. Remember that your pillow will take up space inside the cover and this 2-inch margin will be sufficient. If you are discarding a pillow cover, then simply use it’s measurement, adding a 5/8th seam allowance. You have just made your pillow pattern. Measure the dimensions of your pattern. You will need two of these pieces for the pillow, but just one pattern piece. Let’s assume that you end up with a 19 inch square. You will need a length of fabric 19 inches (I personally would buy 2/3rds yard) of 45 inch fabric. Fold the fabric selvedge to selvedge. Pin your pattern on the straight grain. If possible, use the selvedges as an edge. Cut out the two pieces. With right sides together, machine baste three sides together. Insert the pillow and if it is too loose, remove the pillow and adjust the seam allowance to an inch or the desirable dimension. You may just need to resew one seam. Fold under the open edge with a seam allowance that will allow for closing the pillow without the stuffing showing. Pin carefully and sew the hem. Take a look at your pillow case to make sure you understand this process. You want an envelope that has a hem at the open end. Carefully stitch the hem. Trim the corners of the pillow cover to make nice pointy corners. Gently push them out with a safety pin or blunt upholstery needle. Cut four lengths of ribbon measured to allow a secure bow or tie. I like to use 12 inch ties but your length will depend on the size of your pillow. Hem the ends. Pin the ribbon to the pillow cover and carefully stitch each piece in place. Trim away all loose threads. Insert the pillow, tie the ribbons and place in a distinctive place in your room to show it off. Finally, and most importantly, brag to all of your posse!